Table And Desk Fans Are Used For Applications Including Residential, Commercial, Educational, And More. 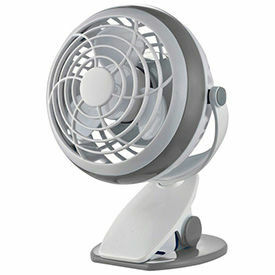 Table and desk fans are made of high quality materials for long lasting durability and dependability. Fans provide efficient air cooling and circulation for offices, workshops, classrooms, and more. Compact design allows convenient mobility, location versatility, and storage. Fan diameters range from 3-1/2" to 16". Package quantities are 1 and 4. Colors are Black, Black/Silver, Bronze, Brown, Light Gray, Silver, and White. Dimensions vary per model. Vornado® Whole Room Circulators Eliminate Hot And Cold Spots By Keeping Air Evenly Circulated. 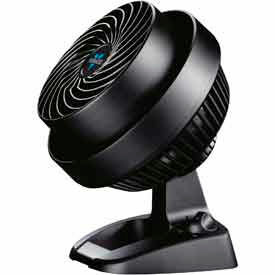 Vornado Whole Room Circulators provide constant air circulation to help keep workspaces at an even temperature. Circulators are compact and low-profile, perfect for use on desktops or floors. Multi-speed controls allow maximum control over air flow. Fans operate at 120 volts. CFM range is 70 to 655 for reliable whole room cooling. Energy Smart Fans have efficient brushless DC motor and timer that shuts off air when not needed for up to 80% more energy efficiency than standard fans. Other air circulators available are Small, Small Flat Panel, Large, Medium, Mid Size Pedestal, Large Pedestal, Jr. Retro, Retro and Retro Pedestal. Variety of color finishes available including Aqua, Black, Chrome, Green, Ice White, Pink, Polar White, Red, Vintage White and White to match residential or office decors. Dimensions vary per model. 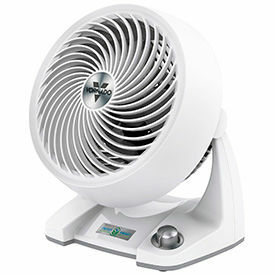 Vornado® Whole Room Tower Fans Are Used For Classrooms, Offices, Warehouses And More. 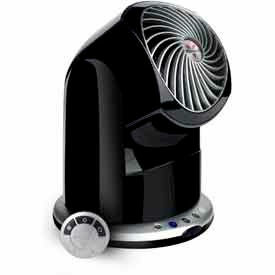 Vornado Whole Room Tower Fans utilize V-flow circulation to keep a high volume of air continuously moving through the room without the use of oscillation. Contoured air outlets create a wide span of constant airflow to provide efficient ventilation. Tower fans are made with a sturdy base and multiple speed settings for lasting performance. CFM air flow rates range from 78 to 651 to meet space requirements. Some air circulators include pushbutton remote control that magnetically cradles to the top of the product. Dimensions vary per model. Box Fans Are Used For Applications Including Residential, Commercial, Educational, And More. 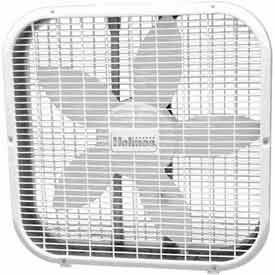 Box fans are made of plastic and steel for long lasting durability and dependability. Fans provide efficient air cooling and circulation for offices, workshops, classrooms, and more. Low-profile design allows convenient mobility, location versatility, and storage. Large blades ensure optimal air flow and quiet operation. 3-speed dial control allows air conditioning setting adjustability. Color is White. ETL listed. Dimensions are 21-1/8"W x 4-1/2"D x 21"H.
Floor Fans Allow Air Cooling And Circulation For Applications Including Residential, Commercial, Industrial And More. Floor fans are made of aluminum, steel and plastic for long lasting durability and dependability. Fans allow easy mobility for location versatility and storage. Fan diameters are 10" to 24". ETL listed. Dimensions vary per model. Vornado® Personal Circulators Provide Comfortable Airflow Used For Offices, Classrooms, Kitchens And More. Vornado Personal Circulators keep air moving at workstations, allowing workers to stay refreshed and attentive. Personal Circulators feature 2- or 3-speed control with quiet operation that will not disturb office mates. Flippi Fans can be easily angled to provide cooling breeze where needed. Some styles have oscillation and flip capabilities for efficient cooling. Zippi Fans have cloth blades that are soft to the touch even when blades are in motion. CFM air flow rates are 25, 47, 86, 101 and 140. Large selection of colors listed to match room decors including Aqua, Blueberry, Coral Blush, Graphite Gray, Raspberry, Sublime Green, Vintage White and more.Dimensions vary per model. Oscillating Tower Fans Are Used For Applications Including Residential, Commercial, Educational, And More. 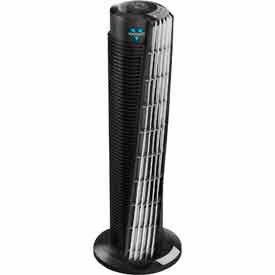 Oscillating tower fans are made of high quality materials for long lasting durability and dependability. Fans provide efficient air cooling and circulation for offices, workshops, classrooms, and more. Oscillating feature increases range for wide area coverage. Compact design allows easy mobility, location versatility, and storage convenience. Includes AC Adapter/USB Cord, Patented/Fused Safety Plug; Remote, and Remote Control. Available color finishes are Black, Metallic, Pink/Green/Blue, and White. ETL listed. Dimensions vary per model. Window Fans Are Used For Applications Including Residential, Commercial, Educational, And More. 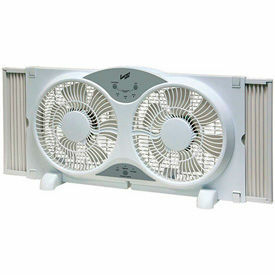 Window fans are made of high quality materials for long lasting durability and dependability. Fans provide efficient air cooling, exhaust, and circulation for offices, workshops, classrooms, and more. Twin fan design accommodates most double-hung, casement, and sliding windows. Expander panels ensure unit fit and stability. Snap-on feet feature allows floor or tabletop use for application versatility. Fan diameters are 9 Inches. Color is White. ETL listed. Dimensions vary per model. 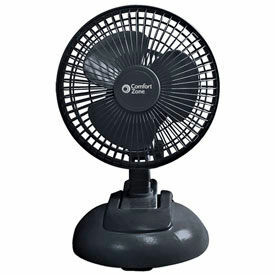 USB Powered Fans Are Used For Applications Including Residential, Educational, Corporate, And More. 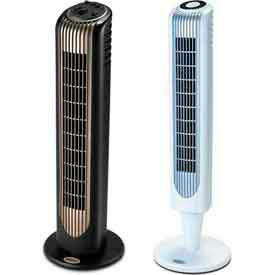 USB powered fans are made of high quality materials for long lasting durability and dependability. Fans provide efficient air cooling and circulation for offices, classrooms, and more. Units plug directly to computer USB port for power. Slim design folds flat for convenient mobility, location versatility, and storage. Tilt feature allows air flow directional control. Includes safety guard for operator stability. Package quantity is 1. Color finish is Black. ETL approved. Dimensions are 5-7/8"L x 5-7/8"W x 1-3/8"H.
Clip-On Fans Are Used For Applications Including Residential, Educational, Corporate, And More. 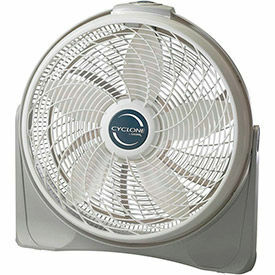 Clip-on fans are made of high quality materials for long lasting durability and dependability. Fans provide efficient air cooling and circulation for offices, classrooms, and more. Clamp allows mounting stability and location versatility. Tilt feature allows air flow directional control. Safety grille included. Color finishes are Black and White. ETL approved. Dimensions vary per model. Vornado® Energy Smart DC Air Circulators Allow Efficient Air Cooling For Residential, Office, and Commercial Environments. The vortex action design provides whole-room circulation ensuring large area cooling for temperature control and comfort. The brushless DC motor uses up to 80% less energy over traditional fans making these circulators energy efficient and cost effective. The variable speed control adjusts the air flow allowing even circulation and temperature control. ETL listed. Dimensions and package quantities vary per model. Dyson Air Multiplier Fans Provide Efficient Air Circulation for Applications Including Residential, Commercial, Corporate, and more. 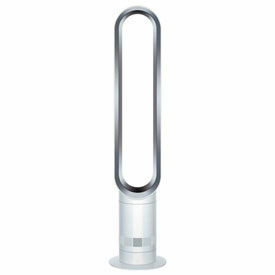 Dyson air multiplier fans are made of plastic for durability and impact resistance. Long-range projection circulates purified air, creating optimal airflow while reducing energy use. Streamlined air channels reduce airflow turbulence for quiet operation. HEPA filter captures airborne particles including pollen, bacteria, and pet dander. Oscillates to project and circulate purified air across room. Integrated sleep timer may be programmed for up to 9 hours. Remote control includes oscillation, temperature, and airflow features. Low maintenance with easy tilt design. 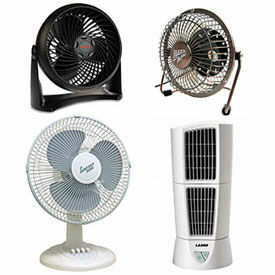 Available types are Desk Fan, Desk Fan/Purifier, Tower Fan, and Tower Fan/Purifier. CFMs are 677, 707, 868, and 1059. Decibels are 56 and 65. Wattages are 26 and 56. Dimensions vary per model.